A little girl named Star lives with a lighthouse keeper who rescued her when her parents drowned. A truant officer decides she should go to boarding school but she's rescued by relatives. Priscilla Williams, a young girl living with her widowed mother and paternal grandfather at the post he commands in northern India, becomes enamored of military life and embroiled in brewing rebellion against the crown in the early 1900's. Wealthy Edward Morgan becomes charmed with a curly-haired orphan and her pretty older sister Mary and arranges to adopt both under the alias of "Mr. Jones." As he spends more time with them, he soon finds himself falling in love with Mary. Dimples Appleby lives with the pick-pocket grandfather in 19th century New York City. She entertains the crowds while he works his racket. A rich lady makes it possible for the girl to go legit. "Uncle Tom's Cabin" is performed. The daughter of a wealthy businessman becomes lost in the city while traveling to a new school, and is taken in by a pair of down-on-their-luck performers. Harry Kipper: Now, you're going to meet your Aunt Miranda. Rebecca Winstead: I wonder if she'll like me. Harry Kipper: You be nice to her, and she'll be nice to you. Rebecca Winstead: Uncle Harry, is this where my mother lived when she was a little girl? Rebecca Winstead: I think I'm going to like it here. 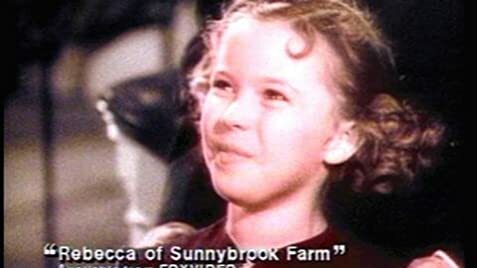 Shirley Temple definitely deserved some of her popularity after this tailor-made vehicle. The film is as adorable as the young star. It follows Rebecca (Temple) as she tries to fulfill her dream of singing on a popular radio show. She does this with the help of a few adult friends who compliment Temple perfectly. Temple herself, shines in this film. Singing, dancing and acting she shows a natural talent for performing and clearly enjoys herself with this film. All in all I would recommend this film to anyone. 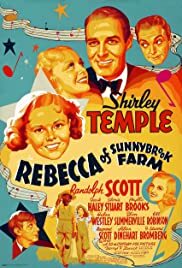 It might not be the best Shirley Temple film but it will keep you entertained all the way through and the enchanting lead will captivate you.